The tenor of U.S.-Japan relations has been positive since President Trump came into office, no doubt aided by the concerted efforts of Prime Minister Abe to build a good relationship with his American counterpart. But one area where bilateral relations have remained lackluster is trade, and Japan is not alone in this regard. Across Asia there is concern over the Trump administration’s trade policy toward the region and the perceived decline of U.S. economic engagement in the region. Not least among these concerns is a potential trade war between the United States and China, and the ripple effects it would have across the region. Now that Japan has emerged as a potential leader in maintaining the liberal economic order, it must carefully consider the future of its trade policy with the United States and other partners, not only for the viability of its own domestic economic strategy but for regional economic stability. 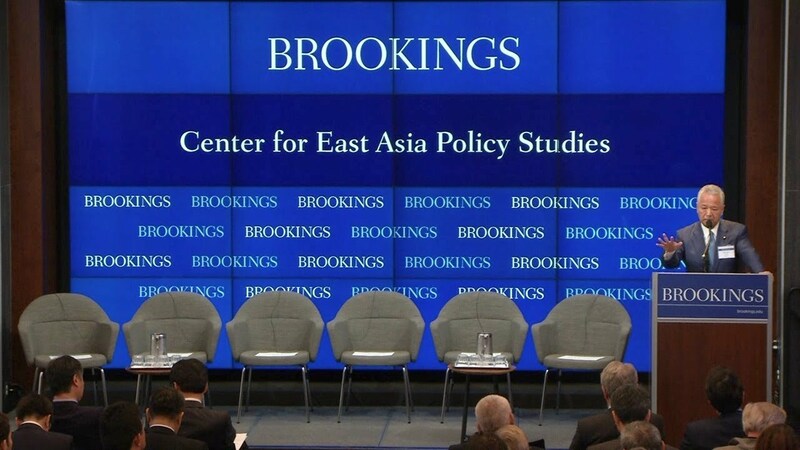 On May 2, the Center for East Asia Policy Studies at Brookings hosted a panel of distinguished Japanese politicians for a discussion on U.S.-Japan trade relations and East Asian regional economic issues. The topics addressed included the Comprehensive and Progressive Trans-Pacific Partnership (CPTPP), rising trade tensions between the United States and China, regional responses and alternatives to the Belt and Road Initiative, and U.S.-Japan bilateral trade issues, such as steel tariffs and prospects for bilateral trade negotiations.